By 7 will remain jailed; Bomb-making material in parking garage linked to "extremely dangerous terrorist cell"
PARIS A network of French Islamists who carried out a grenade attack on a kosher market also planned to join jihadists fighting in Syria, a French prosecutor said Thursday, calling the group potentially the most dangerous established in France in over a decade. Five of the 12 people arrested in sweeps in cities around France have been freed, said the prosecutor, Francois Molins. He said seven people remain in custody a day after police discovered bomb-making materials in an underground parking lot as part of a probe of an "extremely dangerous terrorist cell." All the suspects were born in France, he said. The Sept. 19 attack on the market in Sarcelles, outside Paris, shattered windows and injured a customer at the store. Two attackers fled. "The intent was to kill," Molins said. DNA traces found on the grenade led anti-terror police to a convicted drug dealer who, Molins said, converted to radical Islam in prison. That suspect was killed in a shootout with police on Saturday. He said one of the suspects was coordinating trips for jihadists to join fighting in Syria. According to Molins, the items found in the parking garage included all of the elements required to make an improvised explosive device, but they had not yet been assembled. Also found, reports CBS News correspondent Elaine Cobbe, was a contact book indicating links to foreign extremist groups, including some of those fighting in Syria. Most of those fighting against President Bashar Assad's regime are believed to be ordinary Syrians and soldiers who have defected, having become fed up with the authoritarian government, analysts say. But increasingly, foreign fighters and those adhering to an extremist Islamist ideology are becoming involved in the war. Two British nationals were arrested Tuesday at Heathrow Airport, on suspicion of supporting terrorism in Syria, possibly as part of a group that took two journalists hostage in July. 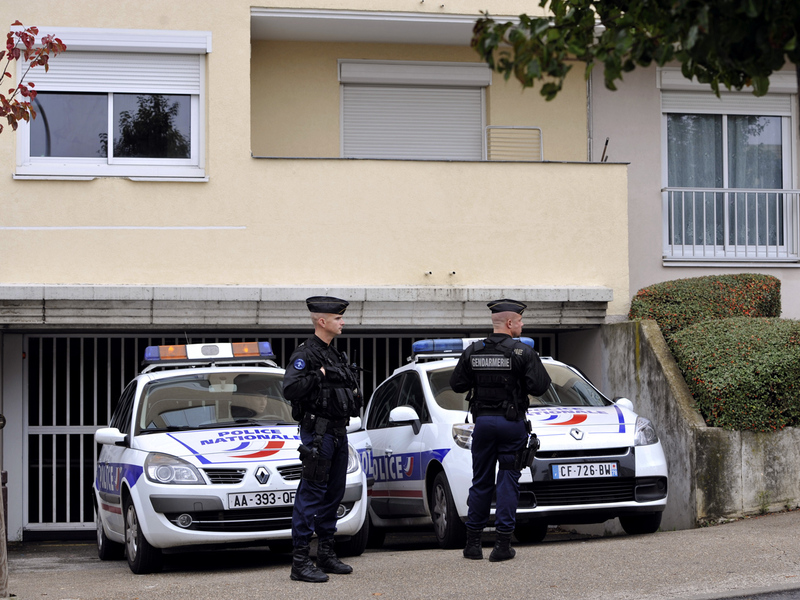 Authorities in France have been on high alert after a Frenchman who claimed links to al Qaeda shot and killed three Jewish children, a rabbi and three paratroopers in southern France in March.